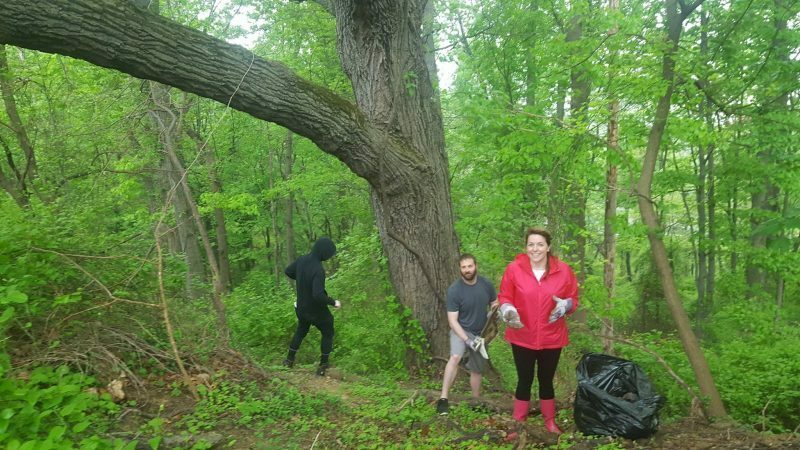 Ward 8 Woods works to enhance and preserve the beauty, ecological health, and public use of the more than 500 acres of forest in the Ward 8 section of Washington, DC for the benefit of all. 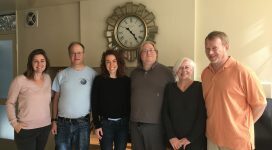 We envision a future in which all Washingtonians enjoy clean air, clean water, and connection to the natural world and history in safe, well-maintained parks. By caring for this small piece of earth, we do our part in the global struggle for a vibrant and livable planet for generations to come. Ward 8, located where the Anacostia flows into the Potomac, boasts extensive forests – a rarity within a major city. These forests clean the air by absorbing greenhouse gases, lower summer temperatures, prevent erosion, and filter contaminants from stormwater. Unfortunately, the same forces that have made poverty and violence all common in neighborhoods east of the Anacostia River have taken a toll on these parks. 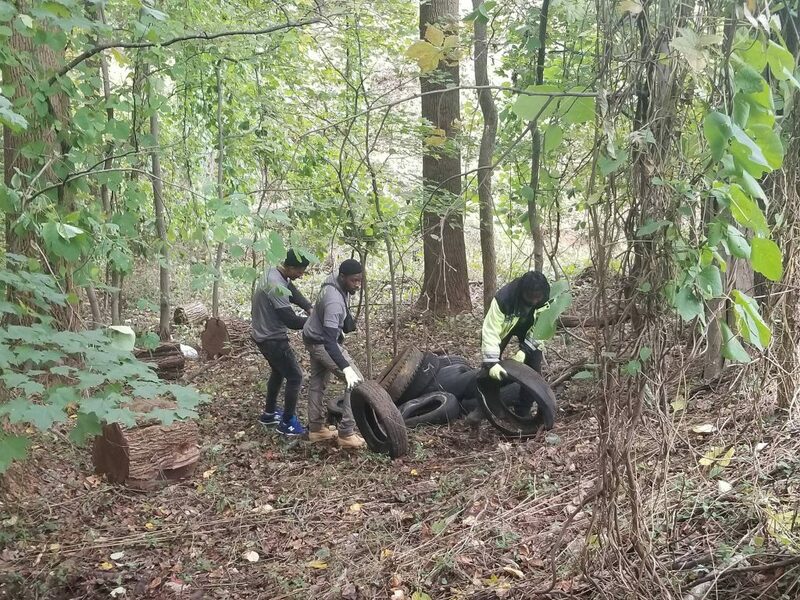 Word spread that you could dump in east DC parks without getting caught. Neglect by the National Park Service allowed this pollution to fester and grow until, in some areas, the ground was totally covered in debris. This trash contaminates the soil, poisons wildlife, and ends up in our stormwater. Invasive plants- principally English Ivy, grape vines, and multiflora rose- have eliminated native ground-cover and choked out thousands of native trees. The diminished biodiversity and loss the tree canopy undermines the forest’s role as a natural filter for stormwater and air pollution. 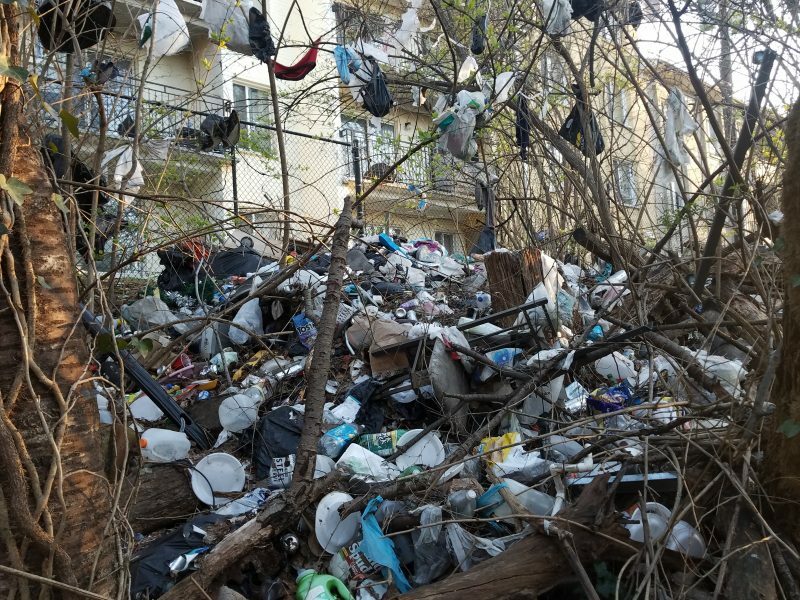 For decades organizations and individual DC residents have fought valiantly to stem this tide of degradation, but the resources available are seldom equal to the task . The poor condition of parklands East of the River compared to those in more affluent areas of the District fits the pattern of environmental racism, in which negative environmental impacts fall heaviest on lower income communities of color. 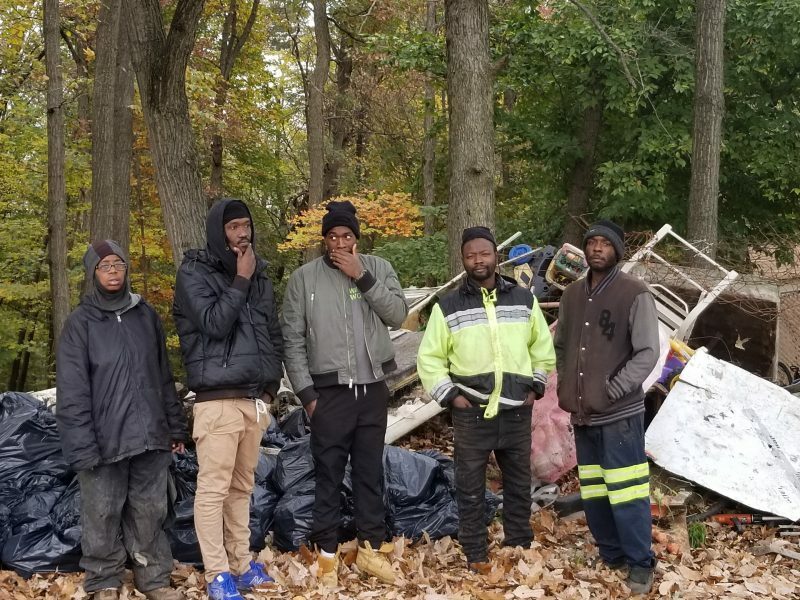 Park Stewards are low-income Ward 8 residents who have had difficulty finding traditional employment. 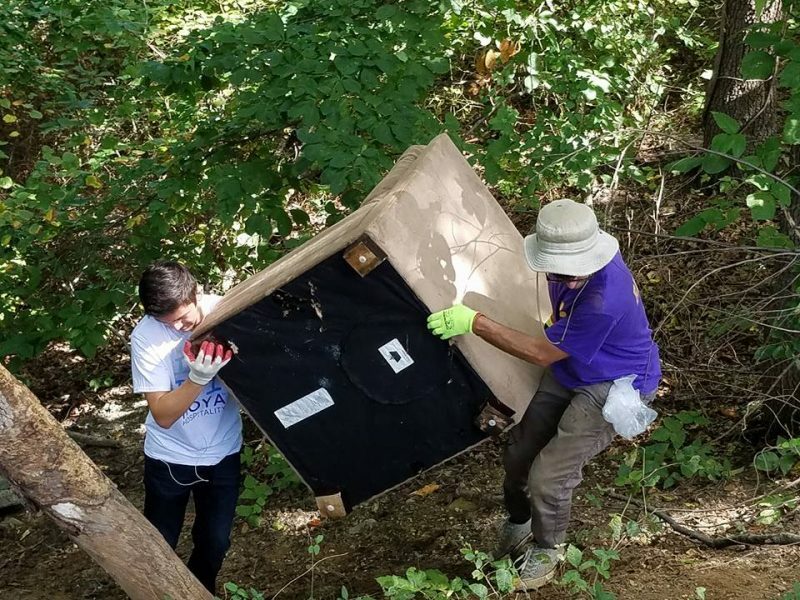 Each will each perform up to 80 hours of woodland restoration labor and community outreach to raise residents’ awareness of the forests in their neighborhoods. 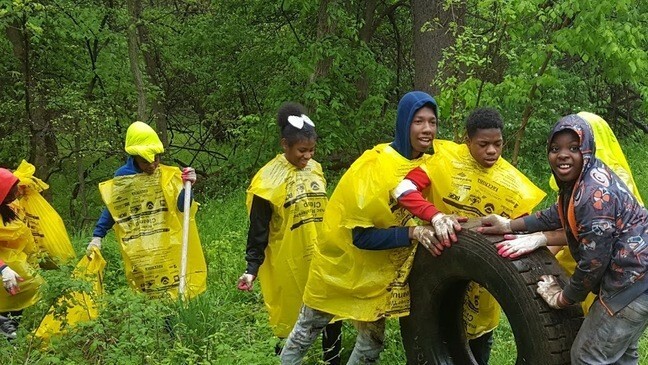 Stewards will be paid a stipend of $15 an hour and gain important knowledge and skills, providing pathways to green jobs focused on stormwater solutions. Stewards will also work to educate neighbors of the parks about their importance and to discourage littering and dumping in the parks.